If you have a hard time saying goodbye to summer and the wonderful bounty of melons that go with it, preserve them! 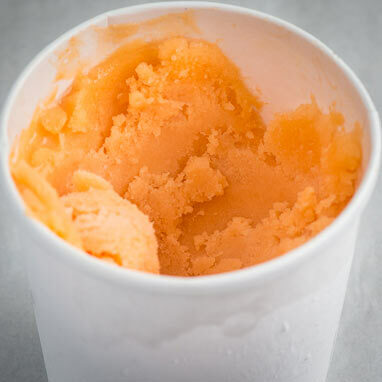 Sorbet is a great way to store the fresh flavors of summer fruit without compromise. Cantaloupe Sorbet pairs really well with butter almond lace tuiles, or simply with a little salt and cracked black pepper. If you're in the mood to have a snack with your sweet summer treat, try a nice platter of salty cured meat such as chorizo or prosciutto.